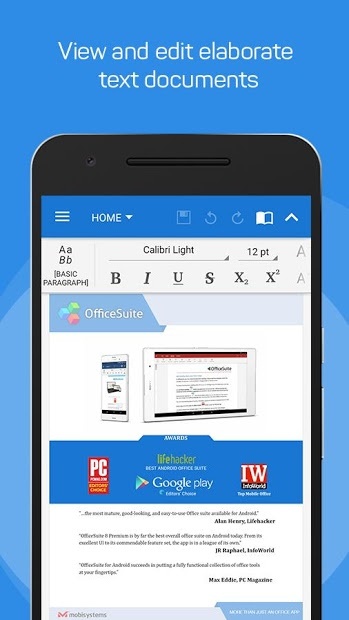 OfficeSuite lets you easily view, edit, and create Word, Excel, and PowerPoint documents, convert to/from PDF, and manage your files. It has a lot of useful features like it able you work on two documents simultaneously using split-screen mode, while opening multiple documents simultaneously and cast them to any screen with Chromecast. 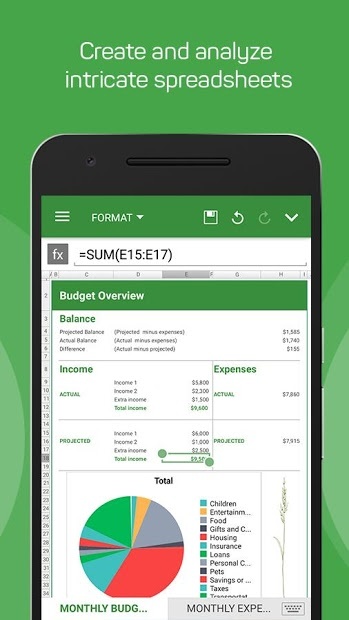 View, create and edit complex office documents all from a familiar desktop-style interface. It is compatible with almost all formats and it’s available in 68 languages.